Entra Turnstile’s modular Post & Rail can create virtually any railing configuration for queuing, cart corrals and much more. 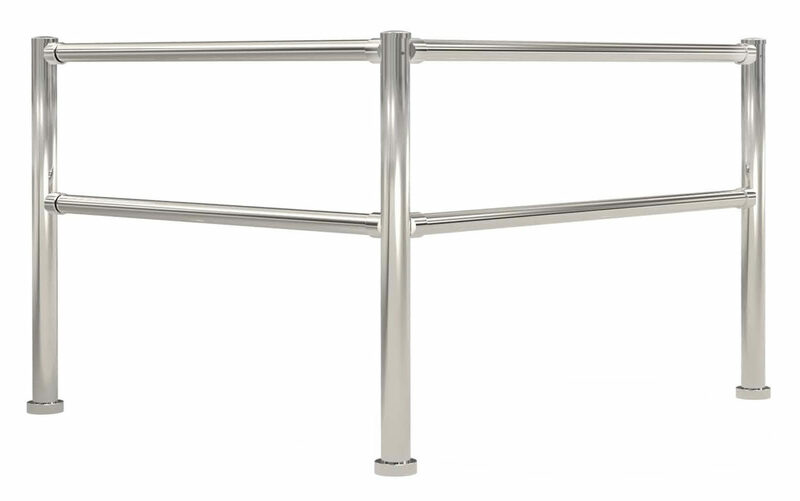 All post and rail is available in a chrome, polished stainless steel and satin stainless steel. Combining posts and railing with turnstiles and gates is a very inexpensive and highly effective method of channeling customers and reducing shrinkage in retail applications.